Relatively simple decoration to dress up any cake. This can also be made in dark or milk chocolate, however the tempering temperature will then be different. Start by tempering the chocolate by grating it into the plastic bowl and microwaving it in 10 second bursts, stirring each time in between until the correct tempering temperature is reached. 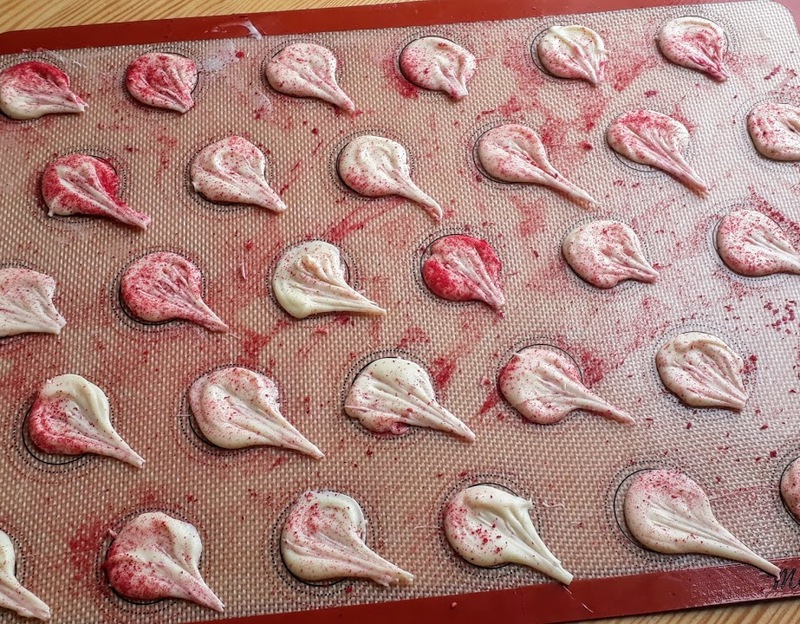 White – 29 C. Milk – 30 C. Dark – 32 C.
Transfer to the zip lock bag and cut a small corner off to make it into a piping bag. Pour into one 4cm hemisphere, pour out excess and level off. On the silicone mat, pipe small circles with a 3cm diameter. You will need 52 circles. Sprinkle a small amount of raspberry powder over the circles using the small sieve. Then using a toothpick drag out chocolate from the centre of each circle into a point. Wait for the chocolate to set before removing off the mould and mats. 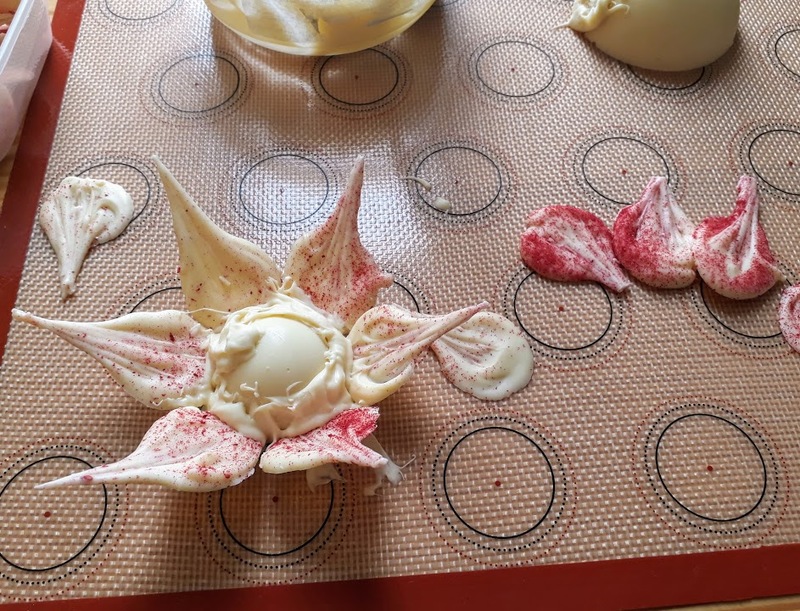 Temper more white chocolate to assemble the flower. 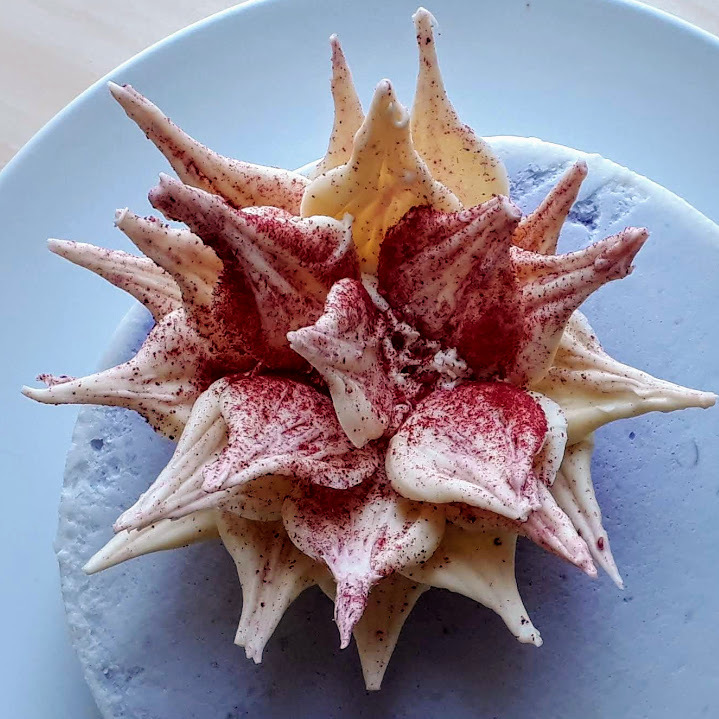 Dip the rounded end of each petal into the melted chocolate and attach it to the hemisphere base.